HWLH News Letter for April 2019 - Issue #0065 - Is There Any Real Benefit in Taking Multivitamins? April 2019 - Issue # 065 - Is There Any Real Benefit of Taking Multivitamins? So the question asked on many occasion is “Do Multivitamins Really Work or Am I Just Wasting My Money”? We know that multivitamins are the most used supplements in the world and their popularity keeps increasing every year. Just as they are named, multivitamins are supplements that contain certain combinations of vitamins and minerals. They come in all sorts of forms such as tablets, capsules, caplets, effervescent tablets, chew-able gummy bears, powders or liquids and they are all meant to offer a variety of vitamins and minerals for the body. They are usually taken once or twice daily, depending on the instructions provided with the product chosen. Why do People Take Multivitamins? Many people believe that multivitamins help keep them healthy which in return help reduce or prevent getting sick, especially from diseases that can be seriously harmful, such as cancer. There are about 13 essential vitamins and about 6 + essential minerals that the human body needs to stay healthy. Vitamins and minerals are both necessary for the body to function properly in every aspect. We need them to help the body get energy from the foods we eat, help our blood clot properly, to keep our nervous system strong, but most of all to help the body resist disease and infections. The body also needs minerals too to stay strong and healthy. Minerals such as calcium to keep our bones/teeth strong and healthy, iron for healthy blood and potassium for a healthy heart beat. This list of benefits derived from each vitamin and mineral is an extremely long one, so to keep it short we know we need them, simply to stay healthy. Can Taking Multivitamins be Harmful or Unhealthy? 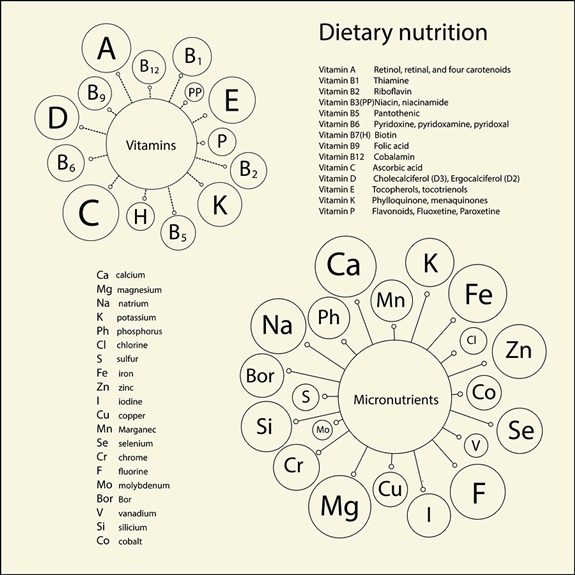 Vitamins are divided into two groups, water soluble and fat soluble. Water soluble vitamins dissolve in water and are not stored for future use by the body. Any amounts not used by the body are eliminated in the urine. That being said, these vitamins must be taken daily as the body doesn't store them for future use. Water soluble vitamins include Vitamin C and the following vitamin B’s - B1 (thiamine), B2 (riboflavin), B3 (niacin), B5 (pantothenic acid), B6, B7 (biotin), B9 (folic acid), B12. Also Vitamin A in its beta-carotene form is also water soluble. Fat soluble vitamins cannot be easily expelled by the body but the good thing is you don’t need to eat all of these vitamins every day because your body stores them in your liver and body fat for future use. Fat soluble vitamins include vitamins A, D, E and K.
Since these vitamins are stored in the liver and body fat for future use too much of any of these vitamins may build up over time which can be unhealthy. For instance too much vitamin A can have harmful effects and can cause nausea, headaches, dizziness, coma and even more serious symptoms if not controlled. An overload of vitamin D in the body can be toxic and cause nausea, vomiting, weakness, frequent urination, bone pain, calcium build up, calcium stones and kidney problems. Minerals may also be harmful in high doses such as iron, which can cause symptoms such as liver disease, diabetes or heart failure. 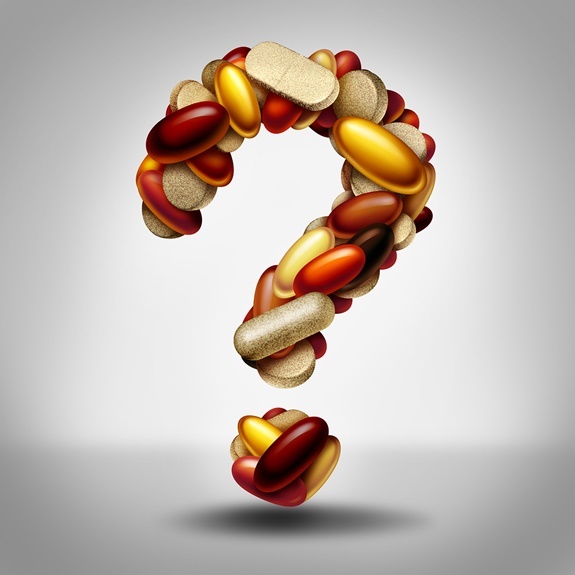 If Your Healthy Should You Take Multivitamins? Many physicians and health care workers believe that eating a healthy, balanced diet is all you need to get your needed share of vitamins and minerals to stay healthy. Of course anyone who sells vitamin supplements will have a completely different point of view. This is such a personal choice and of course will be determined by how one feels. So Who Really Should be Taking Multivitamins? People who have a poor diet which lacks the necessary nutrition we need are definite candidates. Certain people who have health issues may rely on certain vitamins for certain conditions. For instance a person who suffers from osteoporosis may rely on vitamin D and calcium supplements. People who have health conditions which impair their immune system may rely on multivitamins to help fight off sickness. Pregnant women are in a completely different category and their bodies need more because they are pregnant, so taking prenatal vitamins is usually a good thing even when you are eating a healthy and balanced diet, but check with your physician to find out how much you need. In many cases certain vitamins have proven to be valuable as in vitamin D and calcium for bone issues. But in many other cases there is no positive proof either way that vitamin supplements increase a person’s health. I absolutely hate to say this, but after so many decades of testing multivitamins there is no clear cut answer to say for sure if all multivitamins do what they claim. The problem is that thousands of studies have been completed all yielding different results. If you are healthy and eat healthy then you will hear many health professionals say you don’t need to take a vitamin supplement. For many people who have medical issues, vitamin and mineral supplements are a great help and have a positive impact. Attention - to those who do extreme dieting on occasion, then taking a multivitamin during those times is probably a wise choice. Taking vitamins of any kind is a very personal choice and if you feel you benefit from taking them, then do so. We all know and feel our own bodies the best, so trust your own instincts. Of course eating healthy foods to maintain an optimal level of health is always recommended over a poorer diet that includes vitamin supplements.